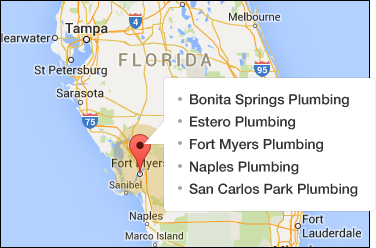 Moen Brothers Plumbing & Drain is a veteran owned and operated local plumbing service in Southwest Florida. We pride our self on military core values of honesty, integrity, and excellence in all we do. We will arrive on time, clean up any mess we make, and warranty our work. 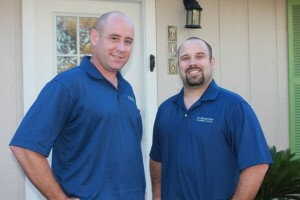 The Moen Brothers are originally from the Midwest but have been servicing Southwest Florida for over Thirteen years. We are a Florida state licensed plumbing contractor( CFC1428497 ) and certified for backflow prevention testing & repair. We are registered in each of the counties and cities we serve and fully insured. We will arrive in uniform, wearing shoe covers to protect your carpets and driving clearly marked vehicles. We recommend other services but do not sub contract, all work contracted by us will be completed and warrantied by us. Matt is a former U.S. Air Force civil engineer with over 19 years of plumbing experience. He has experience from plumbing systems in Europe, to the middle east, and most of our states here in the U.S. Matt is a Florida State certified plumbing contractor and certified backflow prevention tester. He is also a regular technician responding to calls everyday. Want to speak with our master plumber? Call Matt at (239) 567-9933.